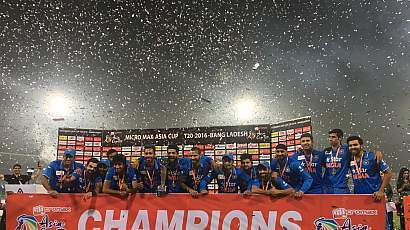 India won the first match by 45 runs of Asia Cup 2016. The great contribution was collected by Rohit and Nehra. img source:dailypakistan.pk Now Bangladesh has a need to go back and work on what went wrong. They had the surface and won the toss as well, but could not play for a long time. Tomorrow match will be played by Sri Lanka and UAE. [the_ad id="3627"] Rohit Sharma is the Man of the Match for his match-winning 55-ball 83. Rohit said it is a right platform leading up to the World Cup. The wicket was not easy, but we got it. India did not take the opposition lightly, so they caught this golden opportunity. And Bangladesh, once again, found themselves short of the firepower in the middle.